Starting either fresh or frozen, add chicken wings, water, and 3 tablespoons spice mixture to the storage container and cover (using a lidded container makes this easy). If chicken is fresh, place in fridge for at least 1 hour. 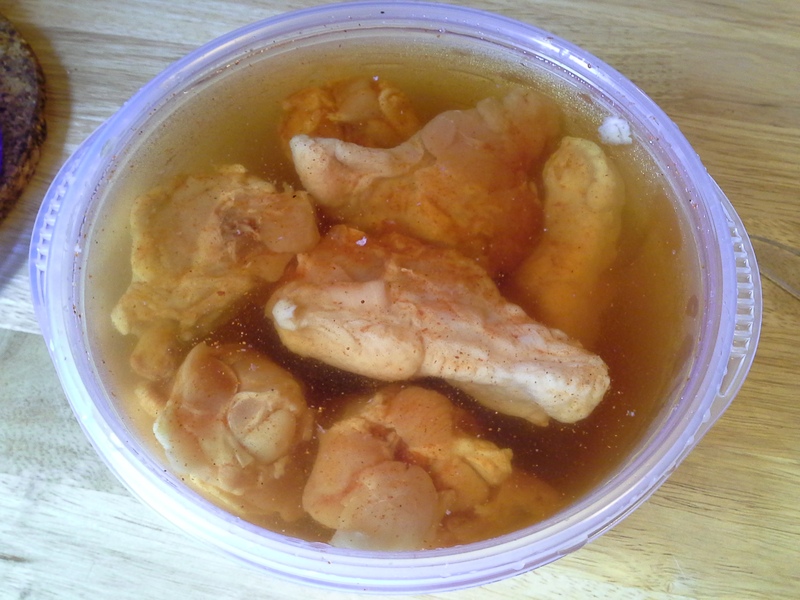 If chicken is frozen, leave out on counter until chicken is thawed but water is still chilled. Either use immediately or place in fridge to continue brining. 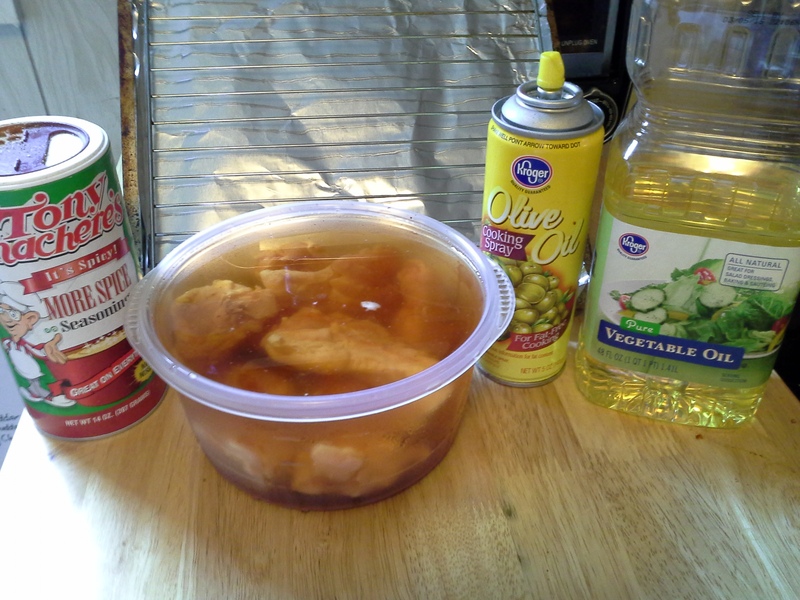 Remove wings from brine and pat dry. 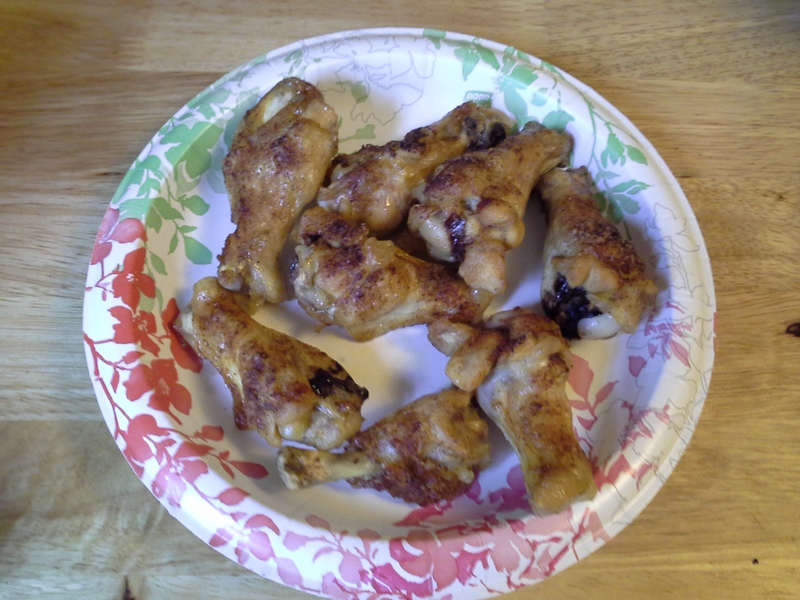 Add wings and cooking oil to plastic bag and smoosh around until wings are coated with oil. Line baking pan with foil and add cooking rack; spray rack with non-stick spray. Remove wings from bag and lay out on rack. Sprinkle all sides with seasoning. Bake 40-45 minutes until chicken is cooked through. If skin is not crisp enough, turn on broiler for about 5-10 minutes. Enjoy as they come out, or serve with your favorite dipping sauce—but don’t forget to count the calories/carbs! Louisiana brand sauces has a jalapeño-lime sauce that is quite tasty. Haven’t checked the carb content but it is spicy enough that a little goes a long way. Ema, that sounds great, although I wonder if there’s a way to do it without all of the carbs that the molasses is bound to add . . . because I LOVE pomegranate.